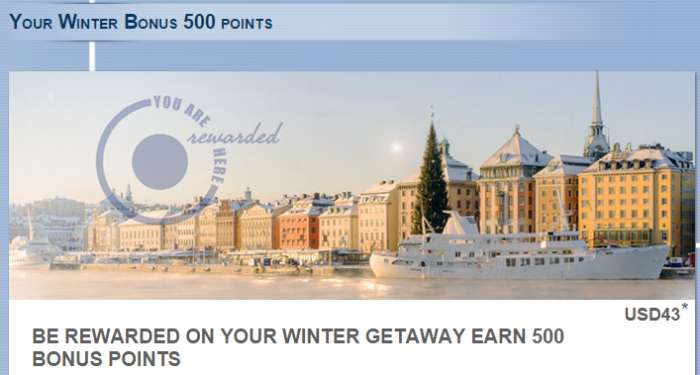 Le Club Accorhotels has launched a bonus points promotion with breakfast (excluding ibis) for stays of two nights or more in Sweden between December 19 and January 18, 2015. You earn earn 500 bonus points IF you make your reservation between December 8 and January 18, 2015. Note that there doesn’t appear to be a registration requirement for this offer and you are not required to book an inflated rate. If you are planning to stay at an Accor property in Sweden during the promotional period, remember to make the booking after December 8 to collect the extra bonus points. 1. General Le Club Accorhotels terms and conditions apply to the “Holiday bonus’ offer. 2. This offer is valid from 19 December, 2014 to the 18 January, 2015 in one of the participating hotels, and booked between 8 December, 2014 and 18 January, 2014. 3. This offer entitles Le Club Accorhotels Loyalty members, regardless of their status, to benefit from earning 500* points in participating hotels, 500Le Club Accorhotels Points are equal to 10€. Previous articleBangkok Police Conducting “Random” Searches To Extort Money From Tourists? Next articleIHG Rewards Club Into The Nights-Promotion Dashboard Finally Updating?